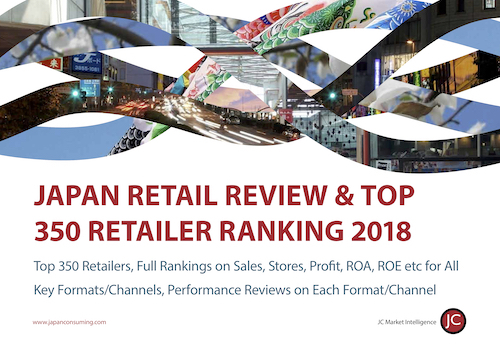 Japan Retail Review 2018 provides a complete overview and analysis of the Japanese retail sector. The report includes detailed rankings, demonstrating how each major retailer fits into the market overall as well as its own sector, along with a full ranking of the top 350 retailers by sales and profit. 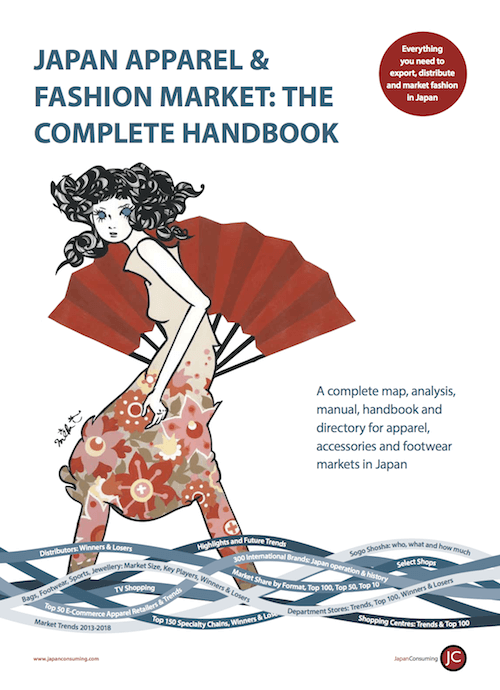 The report is an ideal way for retailers, suppliers, investors, real estate firms, exporters and anyone interested in Japanese retail markets to get a quick but in-depth and expert review of Japanese retailing today. 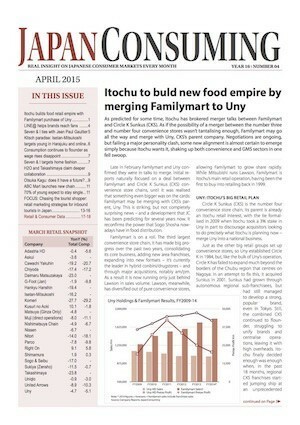 A review of the state of play in Japanese retailing overall and by major format in terms of growth, profitability and future trends. A full ranking of the top 350 retailers covering sales, HQ location, profit and year-on-year performance. A one page snapshot review of the format over the last six years covering sales, profitability (operating, pretax and net), operating revenue growth, profit margins, and a pie chart of market share for the top firms. Ranking by Sales (including operating profit, pretax, and net profit and year-on-year performance. Sales ranking by major product category (including gross margins achieved by each firm and year-on-year performance). Financial forecast ranking for FY2018. Rankings by financial indicators (Op. Revenue, Pretax profit, Pretax Margin, ROE, ROA, Capitol Asset Ratio, Cash Flow). Rankings by operational performance (Net Profit, Gross Margin, Store Numbers, Same Store Sales, Sales/Employee, SG&A Cost Ratio, Op. profit, Stores Closed, Inventory Turnover, Op. profit per Employee. 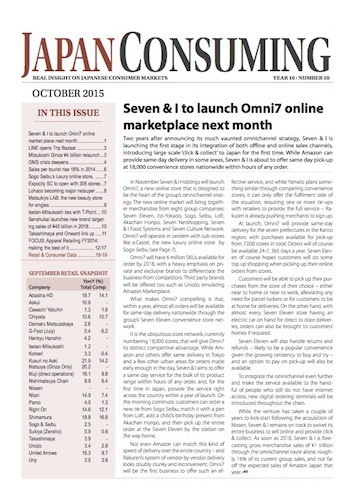 To order this report now, please click here.